Cricket is, arguably, Australia’s national sport, not least because unlike Australian Rules football, rugby league and rugby union, it generates equal interest in all eight states and territories that comprise the great big southern land. 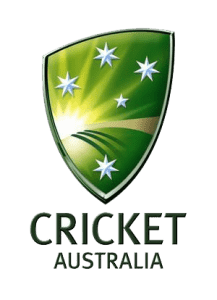 This article is dedicated to betting on cricket in Australia, however we do have a more generic cricket betting guide if you are looking looking for a more international focus. Even though only the proverbial one man and his dog turn up to watch four-day matches in the Sheffield Shield, the domestic first-class cricket competition that has been running since 1892, the various limited-overs games drew large crowds, as do the frequent international fixtures. Because Australia’s home Test and limited-overs matches are broadcast on free-to-air television it is almost impossible not to watch cricket during the Australian summer. No other Australian sport receives anything like the same level of free-to-air coverage, exposure that has, in recent times, resulted in an explosion in cricket betting. After all, few sports lend themselves to live betting action better than cricket and Australians are crazy about the bat-and-ball game. Indeed, the world’s only specialist cricket bookmaker was established in Australia in 1999. Cricketbet, which now holds licences in both Australia and the United Kingdom, has gone from strength to strength under the Nott family, specialising in high-staking and successful clients. All Australia-facing bookmakers have developed large cricket betting offerings to satisfy the demands of their clients, with the sport’s statistics enabling an incredible range of interesting markets. Although Cricketbet is a specialist, they offer no greater service than the best online sportsbooks who have the most competitive cricket lines along with supreme lines in all other sports should you wish to diversify your punting fields. Let’s take a look at where you should be betting on Australian cricket. Cricket is a sport to rival the North American favourites of American football, basketball, baseball and ice hockey for the generation of meaningful statistics that only provide insights into how it is played but also supply bookmakers with data around which to frame markets for punters. Some cricket punters back a winner before the match gets under way. That is because most bookmakers, recognising the importance of the toss, offer odds on which team captain will call correctly. Of course, none of them offer even money or better about heads or tails and the market is, therefore, one strictly for mugs who have no idea about value. It is amazing how popular betting on the toss is. When it comes to betting on the actual match, cricket punters are spoilt for choice. Naturally, betting on the result – home win, away win or draw – is the most popular but there are several exotics that attract significant turnover, particularly top batsman and top bowler. Top batsman sounds subjective but it is not. Basically, it is a market on the highest scoring batsman in a particular innings. In some limited-overs games, especially Twenty20 matches, it pays to concentrate on the batsmen at the top of the order because they may be the only ones who get a hit. Top bowler sounds subjective also but it is not, with the winner being the bowler who takes the most wickets in an innings. A maximum of 10 wickets fall into an innings so, usually, any bowler that takes four or more wickets has an excellent chance of being adjudged the market winner. Other cricket match betting exotics that have developed a following in recent years include opening partnership (which team will score the most runs before losing its first wicket of the game), first innings lead (which team will score the most first-innings runs) and man of the match. There is an official man of the match named for every Test, One-Day International and Twenty20 International, while many domestic competitions hand out similar player awards. Futures betting is not something that captures the attention of cricket punters very often, with the exceptions being for major Test series such as The Ashes between Australia and England and the Cricket World Cup that takes place every four years and determines the best one-day team. For a series such as The Ashes, cricket bookmakers bet on not only the basic outcome of the series but also the correct score. And Australian punters love nothing more than to back their cricket heroes to whitewash the Poms 5-0. Often Test matches do not last the allocated time and the jibe aimed at cricket – that the teams play for five days and then it ends in a draw – could not be further from the truth, especially in the modern era of attacking cricket. It is possible to make a good profit by continually laying the draw on betting exchanges or backing both sides with bookmakers. The fact that Indian punters love to back the draw, largely irrespective of price, means that sensible punters who pick and choose their spots can make money. Draws, even on the Indian subcontinent, have become less common since the Steve Waugh-captained Australia team of the late 1990s and early 2000s, inspired most Test sides to throw caution to the wind and play with more panache. The Duckworth-Lewis method is the mathematical formulation that cricket authorities used to determine the winner of weather-affected limited-overs matches. One must have a sound grasp of the D/L method when betting on limited-overs games, either during the innings break or in the run. The toss really matters in cricket and sometimes one can write off a team that calls incorrectly before a ball is bowled. Never bet before knowing who is batting first. One would be hard pushed to think of a sport better suited to live betting than cricket and it is little surprise that many Test matches generate millions of dollars in turnover on betting exchanges such as Betdaq. There are specialist cricket punters out there who make a decent living from trading games, using the fluctuations in odds to develop books that produce profits regardless of the final result.